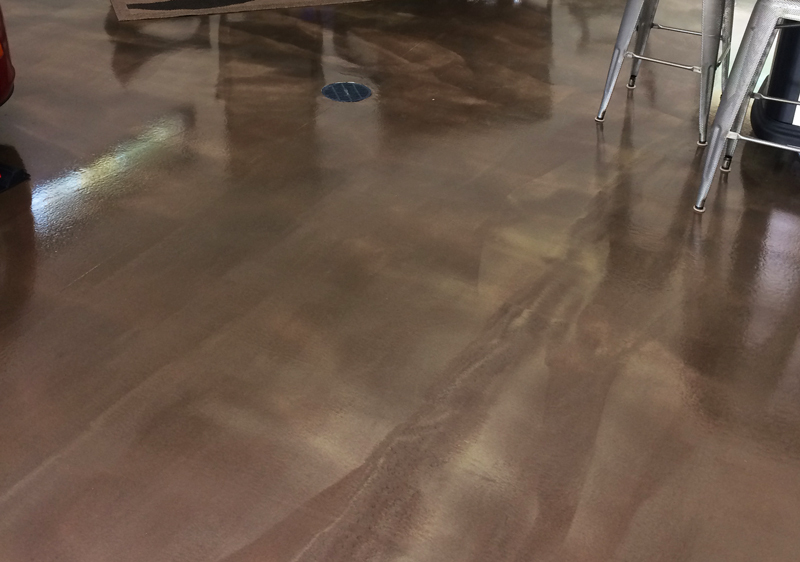 From cementitious overlays to epoxy and polyurethane concrete coatings. 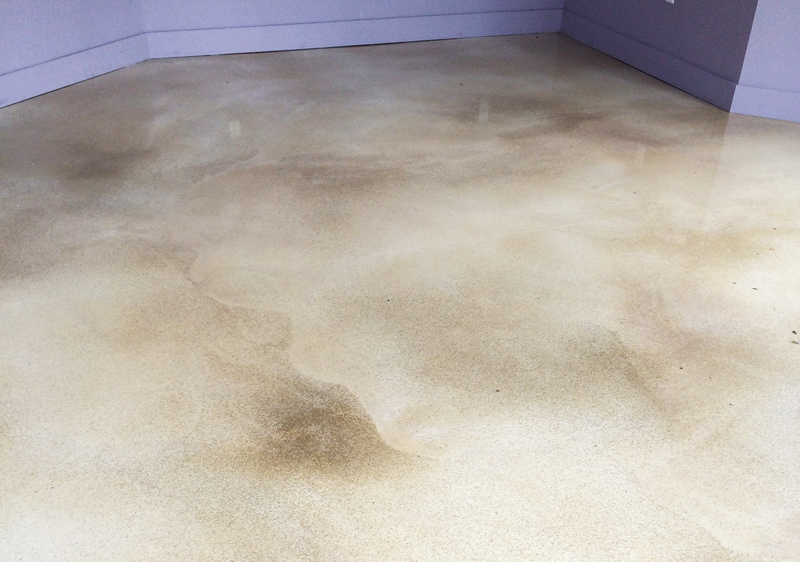 The Standard Look – Once overlay is applied, we can then stain, polish, or even coat the concrete as if it were actually fresh concrete. 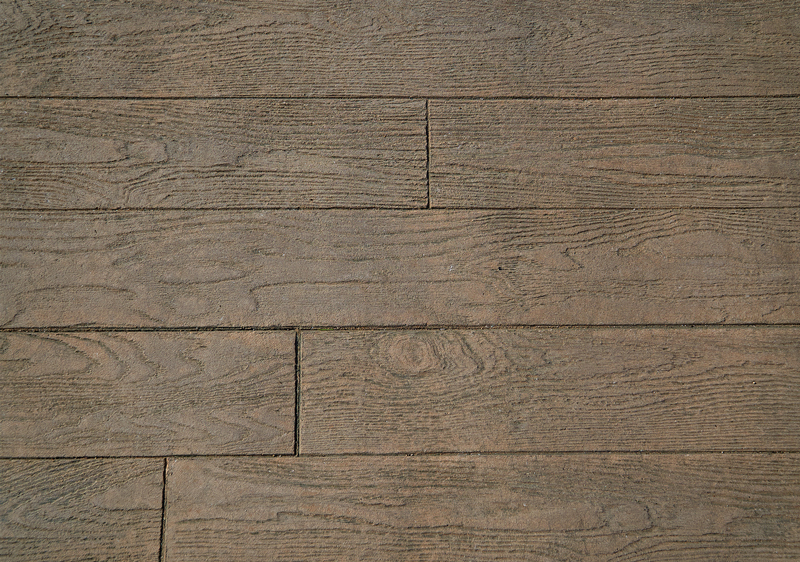 The Wood Look – We use a textured stamp to give the floor a wood grain look. 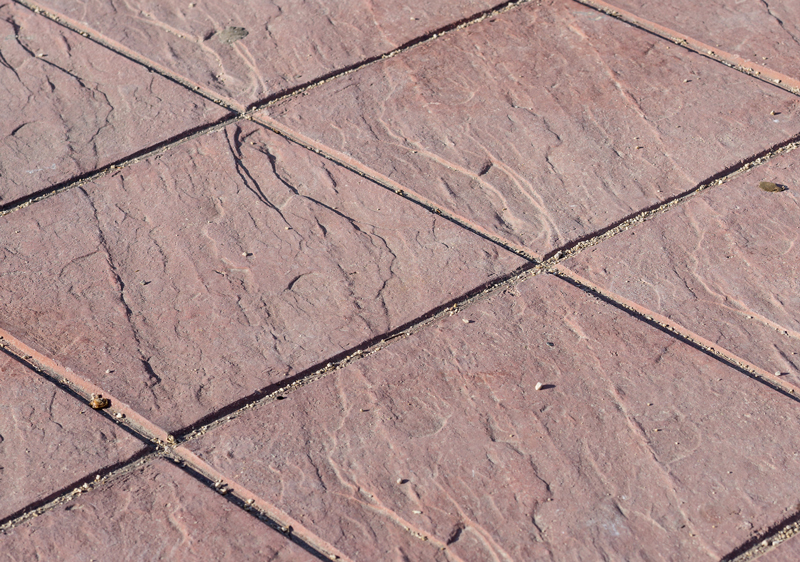 The Tile Look – We will use a custom tile stamp that makes the concrete look like it is a tiled floor. 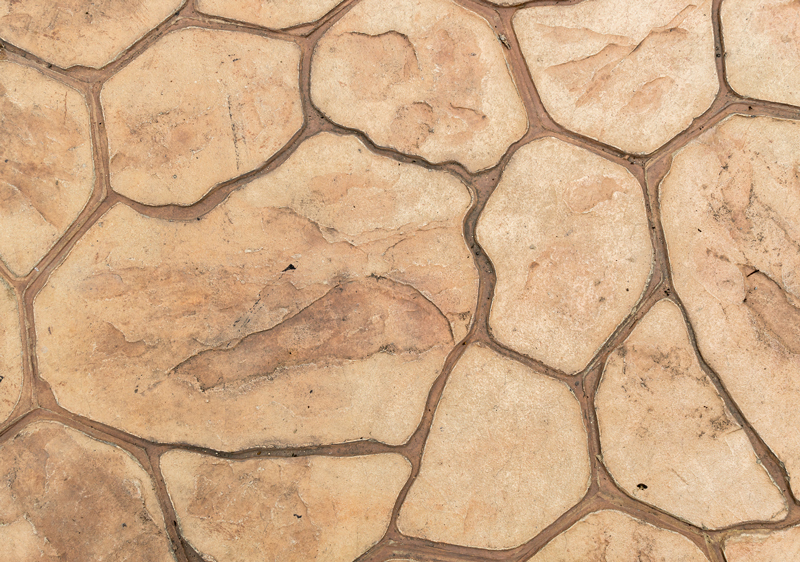 The Field Stone Look – We will use a custom stone stamp that makes the floor appear as it is laid with stone. 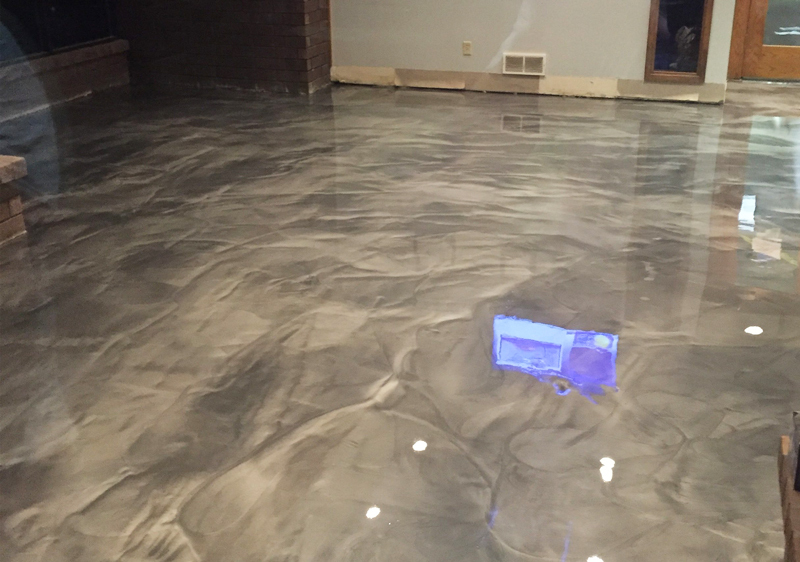 When you want the look of wood, tile, or stone but don’t want the price tag, maintenance, and replacement costs, decorative concrete is the solution for you. With concrete stamps, dyes, and engravings, you can achieve the exact look your want without the headache of costs and maintenance. We have solutions for new and existing floors. 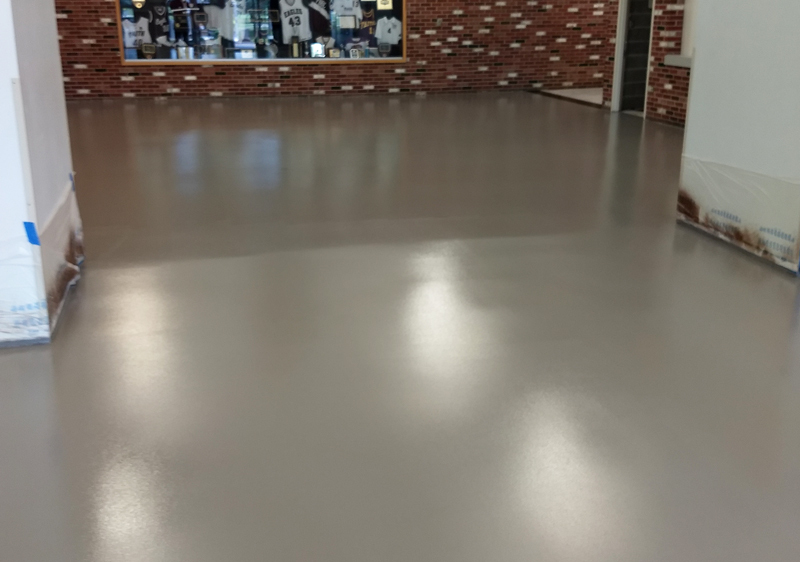 We can work with your contractor to apply the stamps, dyes, or engravings when the concrete floor goes in or apply a cementitious material over your current concrete floor and then apply the stamps, dyes, and/or engravings. The sky is the limit when it comes to patterns, which means you don’t have to compromise your aesthetic to fit your budget. Give us a call today for more information on all of the options available to you. 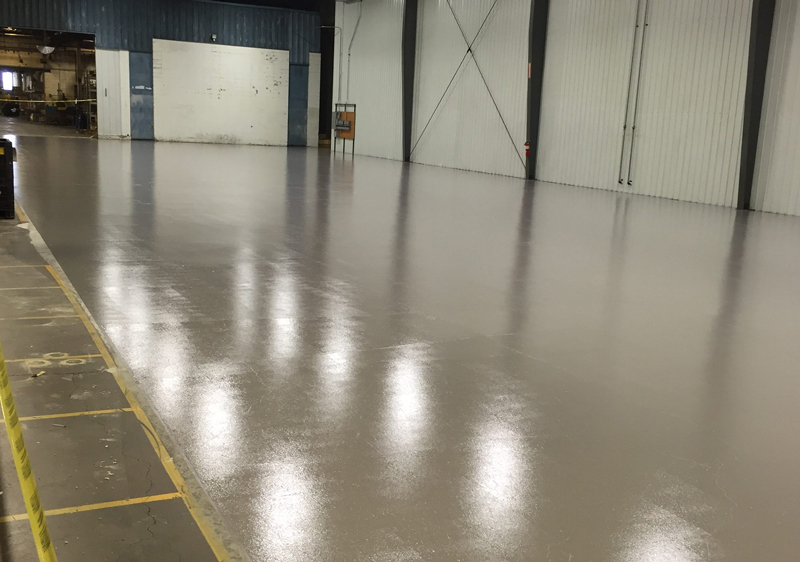 When you need a tough and flexible concrete coating to protect from large abrasions and industrial wear and tear, your best choice is a hybrid polyurethane. Hybrid polyurethanes are also easy to repair. You only need to prep the harmed area and then place another coat. 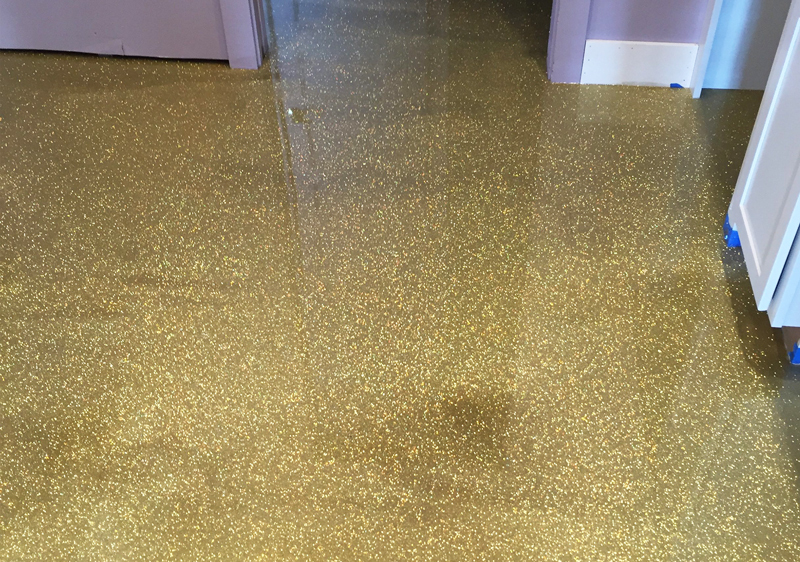 Since polyurethane concrete coatings are only about 2 mm in height, the repaired coating blends right in with the polyurethane around the abrasion. 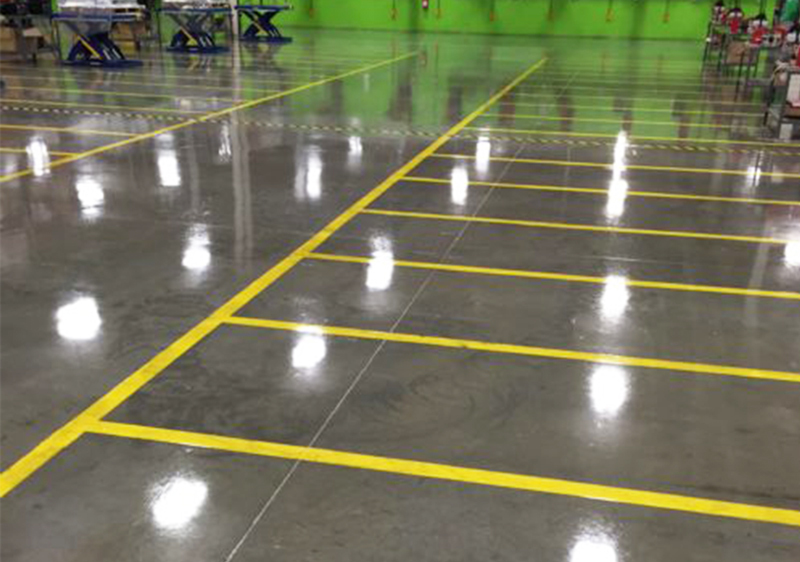 Polyaspartics are extremely durable and can be applied thicker than standard concrete coatings. 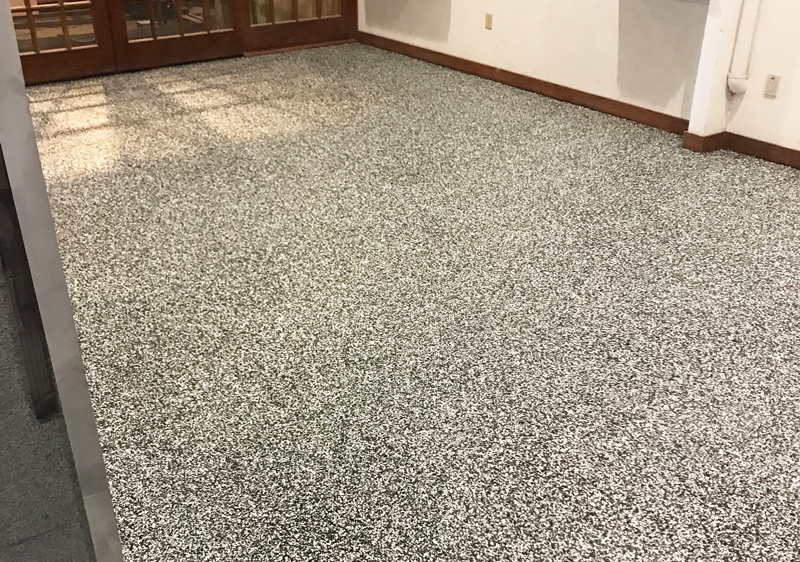 They can also completely cover any blemishes or flaws in a floor because it is built up about an 1/8 of an inch or more from the concrete. 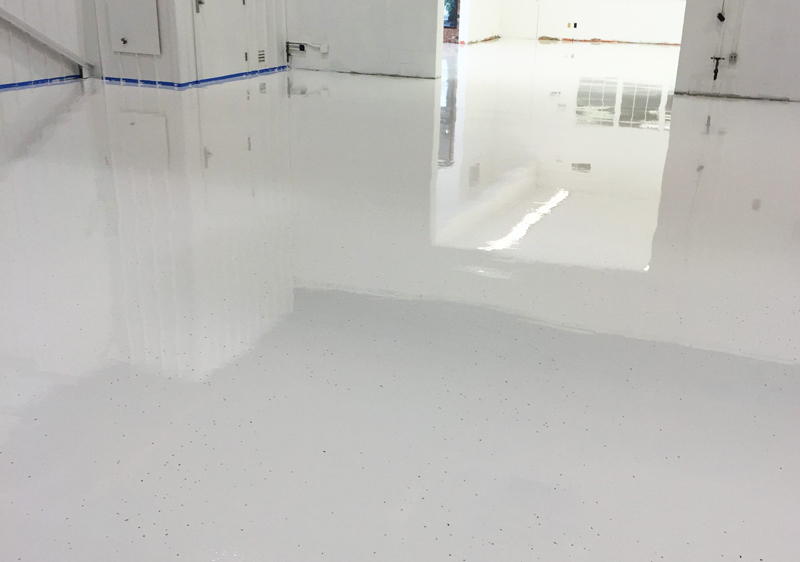 Most coatings start curing at the surface and take a while to cure all the way through, but polyaspartic coatings “cross link” when they cure, meaning that they cure throughout the system giving it a very consistent and fast curing process. 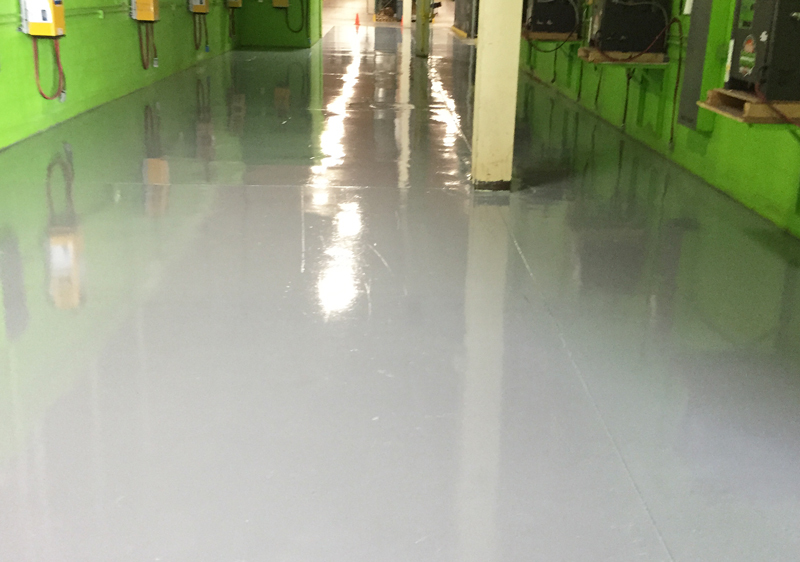 Epoxy floor coatings are hard wearing and durable solutions for commercial or industrial flooring. 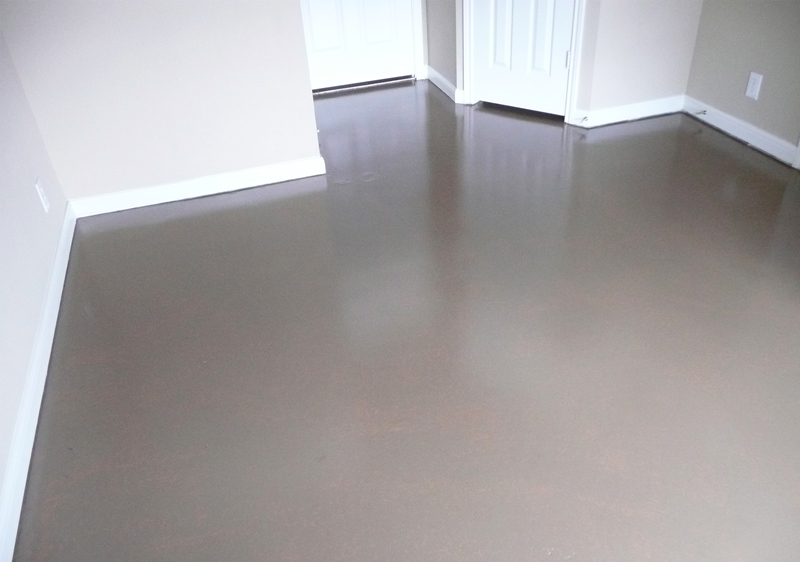 These floor coatings can be applied over concrete floors to provide a high performance and an attractive surface. New technology now offers you the ability to choose almost any color. Metallic additives create a gorgeous surface and multiple colors can be randomly applied together revealing a swirling effect that is very unique and attractive.